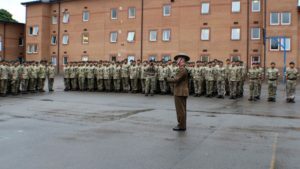 On 5th and 6th June 2017 Colonel Brigade of Gurkhas, Colonel James Robinson, paid a visit to Gurkha Company at the Infantry Training Centre to view the progress of training for this year’s 270 recruits. He met with the leadership and received an update from Major Ed Withey, the Officer Commanding. The recruits are currently in their cultural training phase; half had recently been to London to understand the British democratic process and history, and the other half are in the English language phase. Colonel BG had a chance to talk to the recruits, reminding them that he last saw them in Pokhara was on their Attestation Parade. He stated that the Brigade had an excellent reputation and it would be up to the recruits to maintain this. He wished them luck with their training, encouraged them to learn through making mistakes and hoped they would enjoy it too. He also spoke to the training staff and reiterated what an important role they have, preparing the Brigade of tomorrow. Colonel BG spent time visiting recruits improving their English and visited LMG live firing at Wathgill ranges. 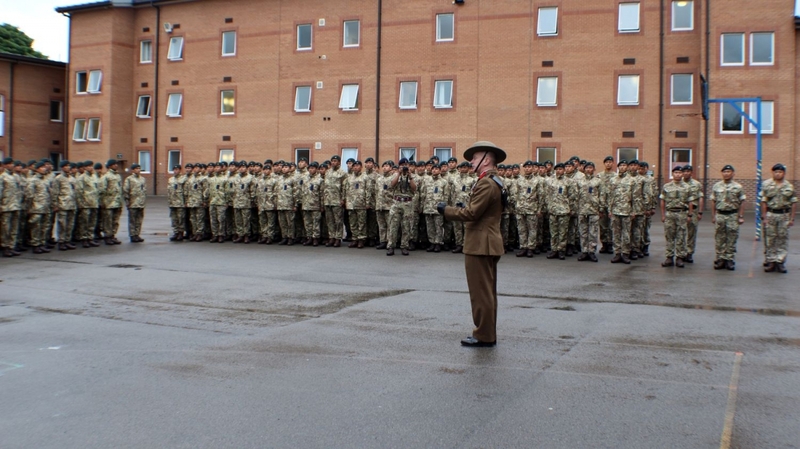 During his visit he took time to present a number of Long Service and Good Conduct medals to Gurkha Company staff. On departure he signed he visitors’ book and stated he will visit again soon.